If you are someone who has been offered hope and promise through the use of modern medical devices, you're not alone. People all across the United States and Massachusetts have been given a new lease on life, due to medical devices that can help them to lead better, more productive lives. But unfortunately, it's not always that way. Sometimes things go awry. And the result? You, or a loved one, can become injured due to a dangerous medical device defect. In that event, you should consult with a Boston defective medical device law firm. At the Law Offices of William D. Kickham, our experienced defective medical device lawyers know how to successfully litigate these cases. If you feel you've been injured due to a defective medical device, call our office, at either Ph. : (617) 285-3600 or Ph. : (781) 320-0062, or email us confidentially by clicking here. We will return your call promptly, to discuss whether or not you have a legal case to pursue. At the Law Offices of William D. Kickham, we also make house and hospital visits to our clients, and have offices conveniently located off Route 128 in Westwood, and in downtown Boston. You will receive a FREE INITIAL LEGAL CONSULTATION and YOU WILL NOT OWE US ANY LEGAL FEES UNLESS WE RECOVER FINANCIAL DAMAGES ON YOUR BEHALF. Personal injury cases due to defective medical products are highly complex, so whatever you do, do not consult with a law firm that does not have extensive experience and expertise in dealing with these types of cases. 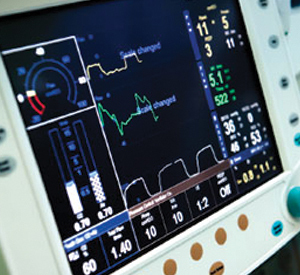 What Types of Medical Devices Can Cause Injuries? Below are some examples of medical devices that can cause serious injuries due to defects in design, manufacturing or engineering. If you feel that you or someone you care about has been injured by one of these or any other type of medical device or medical product, contact The Law Offices of William D. Kickham at (617) 285-3600 or (781) 320-0062. We have a proven track record of success in Boston personal injury lawsuits, by obtaining financial damages for our clients who have suffered personal injuries. With the very real risk of suffering a serious personal injury due to a defective medical product, what can you do if you - or someone you love -- has been injured due to a defective medical device? Answer: Take legal action. As Boston defective medical devices attorneys, we believe strongly that the manufacturers of medical devices need to be held legally responsible for the products they market to doctors, hospitals, and to the American people. And we know how to do just that. It is a disgrace that often times, the most vulnerable people in our society - especially the elderly and the sick - are the victims of defective devices that are brought onto the market without adequate testing and without adequate quality assurance and safety controls. For more helpful information, click here to receive our FREE article about "The Top 10 Things To Do After Suffering An Accident Or Injury In Massachusetts." This document contains helpful information, and will inform you about how to protect your legal rights if you are injured, following an accident or injury caused by another party's negligence - including injuries from defective medical products. Many people don't know how to proceed in the aftermath of suffering a serious injury. But in this article you'll discover how to best protect yourself or your loved one and how to move forward after suffering a personal injury. Call us now. You will pay absolutely NO FEES unless we accept your case and recover damages on your behalf. Contact us at (781) 320-0062 or (617) 285-3600 or click here to send us a confidential email. Boston, Massachusetts personal injury lawyer William D. Kickham is a frequent legal commentator and legal analyst for prestigious local and national media. He has been interviewed and served as a legal commentator on Court TV (now In Session on HLN,) Fox News TV-25/Boston, The Boston Herald, WBZ-AM Radio 1030, WCVB-TV5/Boston, Nightside With Dan Rea, Greater Boston With Emily Rooney, Money Matters Radio/Boston, and The Metro Newspaper/Boston. Put that experience to work for you. You'll be glad you did.